Dinosaurs. Every kid loves them, and let’s be honest – so does every adult. From movies like Jurassic Park to television shows like Dino Train, dinosaurs are the hottest trend out there, which is saying something since it’s been 65 million years since they roamed the Earth! The best thing about dinosaurs is that they appeal to so many different ages. From toddlers to adults, everyone can appreciate how cool dinosaurs look and act. Whether you love the omnivorous dinosaurs or the herbivorous ones, their stunning horns and larger-than-life teeth make them both something to admire and something to fear. 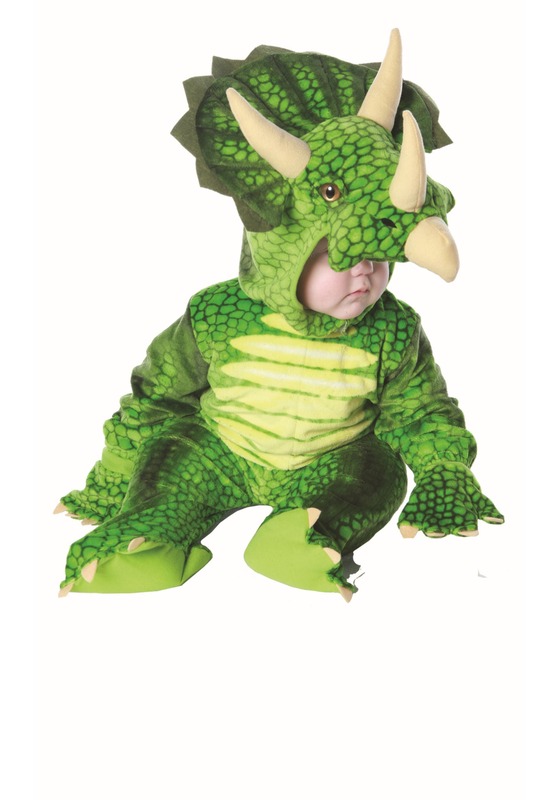 But this toddler dinosaur costume won’t turn your little one into a terrifying, ancient creature, instead they’ll be the cutest dinosaur in town. Because there’s nothing scary about this soft and snuggly dino costume! You might not be able to create your own dinosaur theme park by dressing your little one up in this Toddler Triceratops Costume, but he will still be pretty adorable. Your only other option is to collect fossilized amber with a mosquito trapped inside and splice the DNA inside with a frog's... and that's not nearly as fun as it sounds. This 100% polyester velour jumpsuit fastens with Velcro in the back for easy on and off all night long. 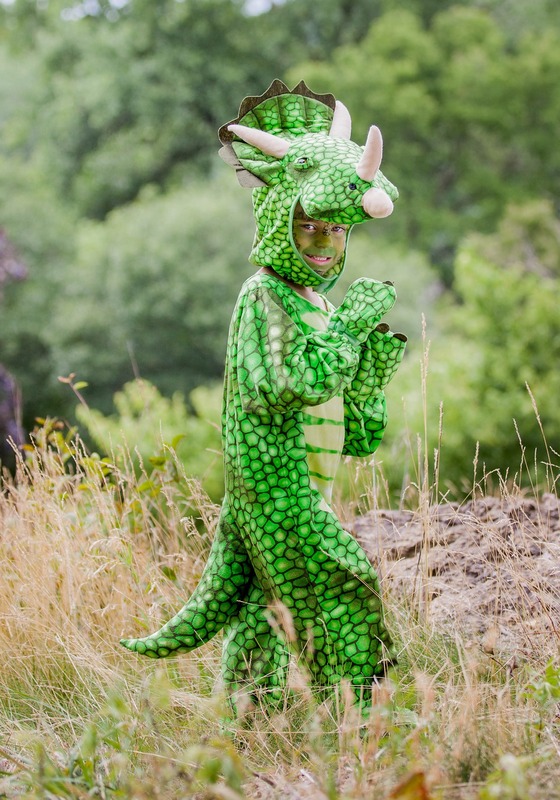 The stuffed tail and soft headpiece with horns and plastic eyes add detail to the costume and the foot covers and mitts ensure that your child looks like a dinosaur from head to toe. And bam. That's how you get a dinosaur in your home!